President Donald Trump acknowledged late Monday that Puerto Rico was “in deep trouble,” after facing blistering criticism for focusing much of his attention on a bitter feud with NFL players instead of the devastated US territory. Hurricanes Maria and Irma killed 13 people on the island — with Maria almost completely destroying telecommunication networks last week. “Texas & Florida are doing great but Puerto Rico, which was already suffering from broken infrastructure & massive debt, is in deep trouble,” Trump tweeted. The White House earlier denied it had been slower to act following Hurricane Maria in overwhelmingly Hispanic Puerto Rico than in the aftermath of Hurricanes Irma and Harvey on the US mainland. 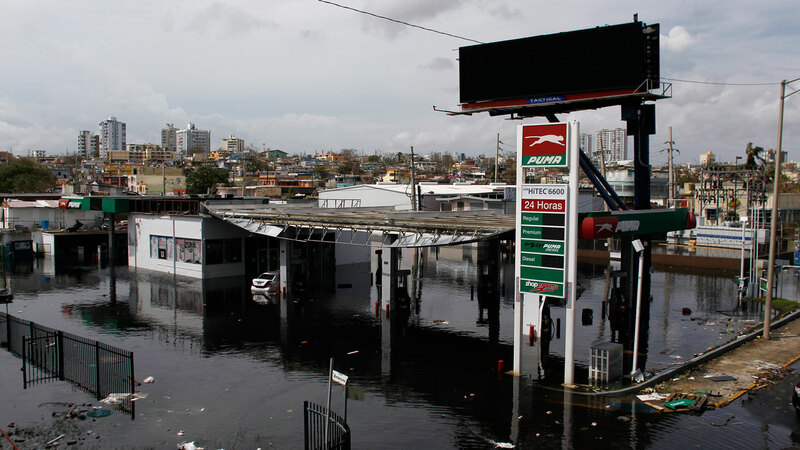 Many Puerto Ricans have already started their own cleanup operations amid apocalyptic scenes of destruction, with some small shops and restaurants reopening with the help of generators. Trump on Friday called for NFL players demonstrating against racial inequality during the national anthem to be fired, triggering a row in which leading players across the country knelt in protest over the weekend.